The Odyssey O-Works putters feature Odyssey''s revolutionary Microhinge insert technology that co-molds a stainless steel Microhinge plate into the Thermoplastic Elastomer Feel Layer to provide great feel and allowing the hinges to lift the ball into a better roll at impact. 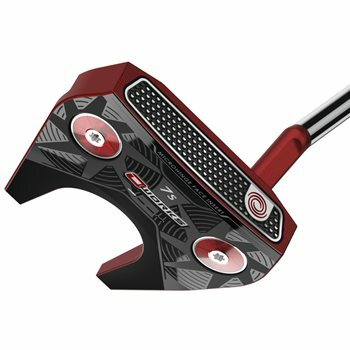 The O-Works Red #7S putter is a modified mallet with weighted alignment wings, a short slant neck hosel, Microhinge Face Insert, sole weighting, and a red finish. The red finish has been popular among Odyssey staff pros and gives the putter a clean, simple look at address.